I have been writing some articles about a photo story on bullying recently. All of the interviews for these articles have brought two truths about bullying to light. Those who are bullied often become bullies, and everyone can be a bully at some time. These two things have made me think about how I am treating others and how I react to others treatment of me. Bullying can be emotional, physical, viral, etc. The list goes on and on. One interviewee said that many people even bully their friends. Bullying is not restricted to people you don’t like. I think we should all stand back and take a look at how we are treating everyone, whether friend, family, acquaintance or stranger. Ask yourself: have you been bullied before? Have you bullied someone else? This is a real issue in our society today. Children are committing suicide or changing their lives to try and escape bullying. I know several young girls who are being bullied on their Facebook, a social network. What part of picking on someone is socializing? I think the problem is that bullies are unhappy with themselves, their lives and they are taking it out on others. And I know many people on this campus who just grew up to be, well a grownup bully. 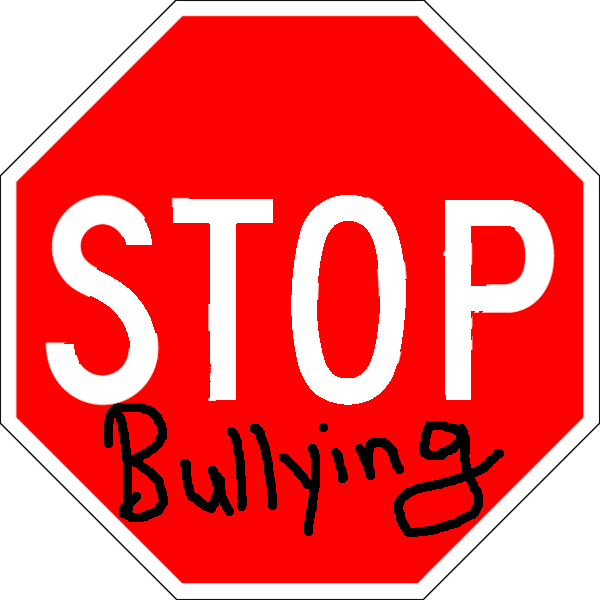 Stand up to bullying and make sure you don’t become one yourself!